Whether you are a novice or someone who has been away from the world of firearms for some time, and you are wishing to grasp a better understanding of the basic functions and operations of a firearm and its components, this is the class for you. If you feel that you wish to use a firearm in the protection of you or your family and don’t know what size, style, or caliber to acquire, this is the class for you. A very InDepth look at Handguns, type, style, function, and the oppertunity to shoot many different handguns. If for no reason at all except to educate yourself on the world of firearms, this is the class for you. Through instruction In the classroom you will develop an understanding of the different types of firearms, how those different firearms function, you will develop an understanding of the different types of cartridges and how they function and last but not least, you will be afforded the opportunity to fire, on our range, numerous firearms. Firing of these numerous firearms may entice you to expand or get involved in other activities or may just help you decide what type of gun to provide yourself for personal protection. A discussion on the stopping power of different ammunition, what kind of people own guns, whether you should own one or not as well as the different shooting activities you may participate in. 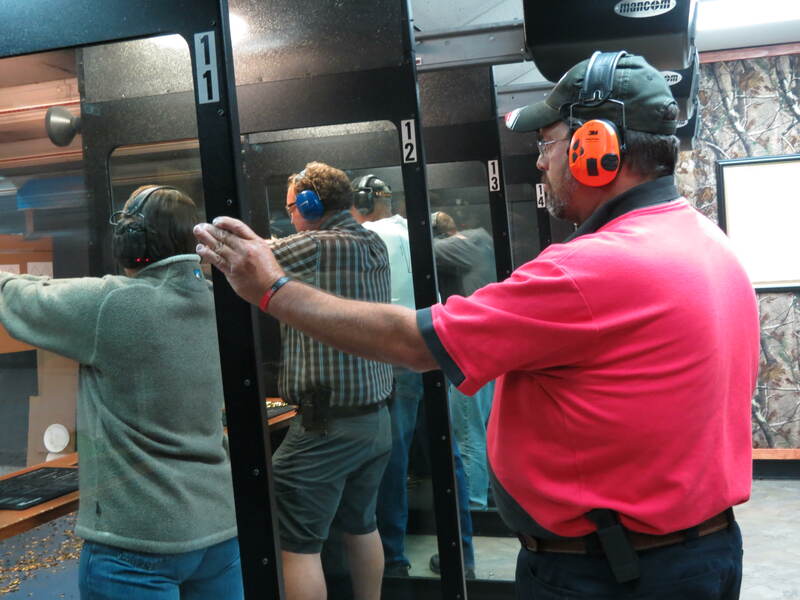 In addition to your NRA certified instructor, you will be assured a safe and comfortable environment through the presence of multiple NRA certified instructors on the range. Minimum of 5 students to hold class.